Small or large, we love our homes. Anyone who’s ever moved knows just how much stuff we tend to accumulate over time: clothes, shoes, toys, books, tools, souvenirs, cookware… it goes on and on. 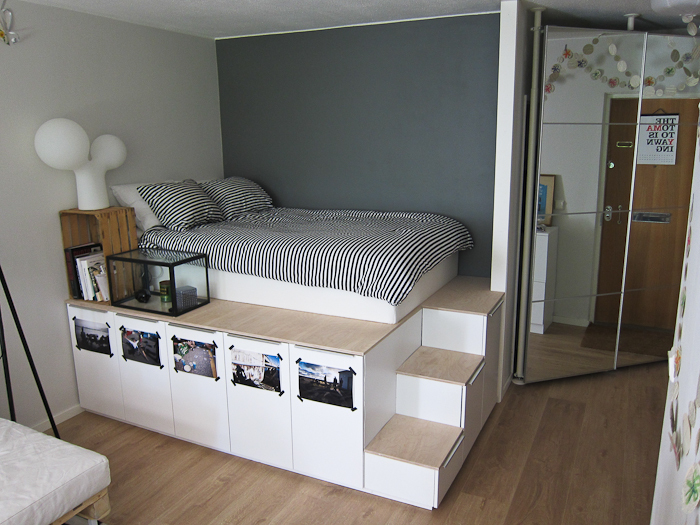 But there some really clever ways to create space to store all our stuff: built-in storage units. They create functional spaces unique and special to you to keep your most loved possessions out of sight but easily within reach. Get inspired by some really clever built-in storage ideas for every room in your home. Then give us a call and let’s make it a really fun, functional, and fabulous project. One of the most underused areas – the entrance – can certainly use a resdesign. 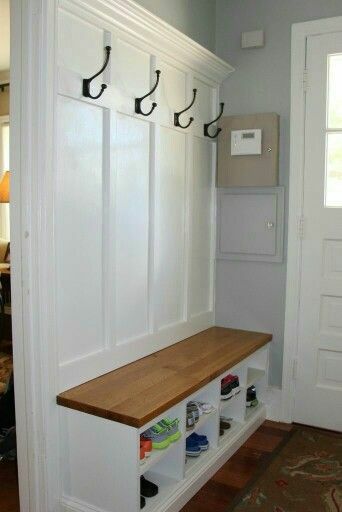 Cut down on clutter and create a built-in unit complete with a coat rack and cubbyholes, doubling up as a built-in bench. Perfect for Oregon’s wet winter weather. it’s a great way to redesign what’s typically a very underused area. What could be better than relaxing and enjoying Oregon’s beautiful autumn season from a comfortable built-in window seat? Bring a book and a cup of tea and it’s a party for one. Add drawers or a fold-up storage area beneath the seat, and a niche on either side to display your favorite books, photos, or ornamental pieces. This one’s for the book-lover in your family. Make a stunning display with an otherwise empty wall by creating wall-to-wall bookshelves for all your favorite reads (including, of course, Portland author Brian Doyle). A blank wall transformed to the central feature of the room. Genius. 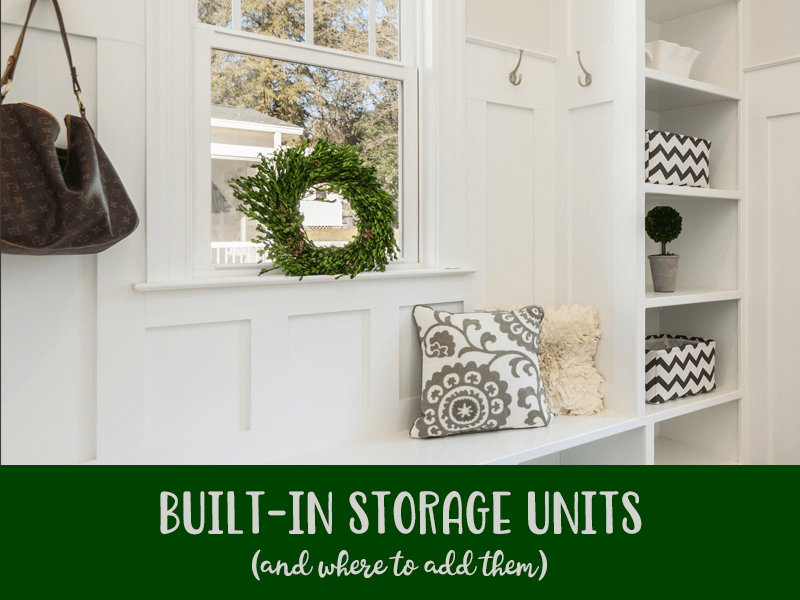 Accessorize your dullest doors with floor-to-ceiling units to create a stunning frame for an ingenious bookshelf storage unit. Not a big reader? Place your most prized photos or ornaments on display, and enjoy them every time you pass through your door. It’s hot – but only because it’s really smart. Add shelving units around and above your radiator to create a seamless surface that extends to your walls. You’ll have ample space to transform a boring space into a really functional one. 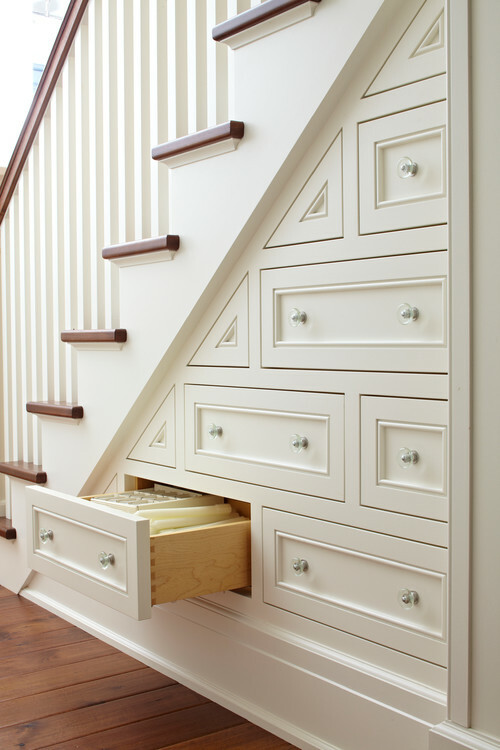 If Harry Potter must live under the stairs, then surely we can at least give him great storage. No one enjoys that uneasy feeling of reaching into under-stairs closets to find what they’re looking for. So forget closets, and think slide-out drawers that fold right back into the wall. Make the handles small and transparent to keep the hallway looking clean. Stairs are a treasure-trove of unused space. Create one, two, three or more pull-out drawers out of your first few steps. Use them for practical hallway items like shoes, scarves, or gloves handy for Oregon’s cold winters. Or hide your valuables there instead, where no one will think to look! Bedrooms are perhaps our most private rooms in the house, where we retreat to be ourselves. And we always need just that little bit more space. Use the walls of your bedroom to install a built-in desk, complete with shelves for your paperwork. You’ll add even more character to the room you love to be in. Often, the bathroom is the smallest room in the house, but it doesn’t have to be the one with the least amount of storage space. Custom-made vanities and glass-front cabinets and provide light and easy storage for all your essentials. 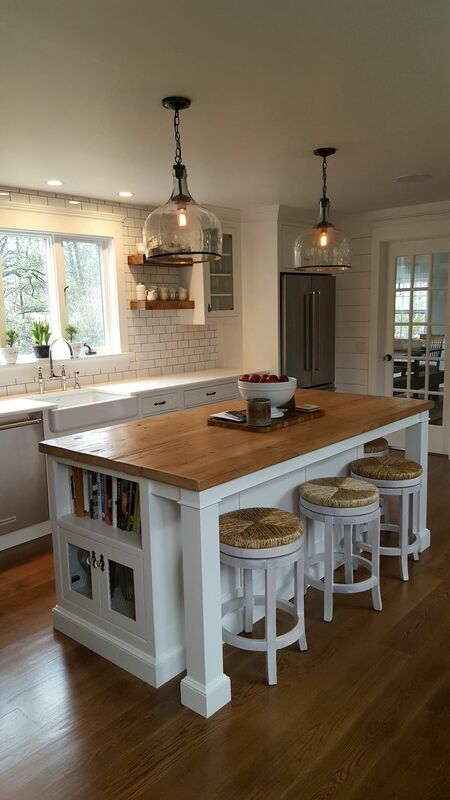 Kitchen islands are perfect for adding extra cabinets for those – everythings – we tend to buy for the kitchen. Maximize the space with built-in bar counters, bookshelves, and drawers to free up space for all the much-loved non-essentials. Dead spot? Do something creative with what would otherwise be wasted space. Transform a wall into a vibrant storage unit and display area. If you could have the laundry room of your dreams…what would it look like? Make it a utilitarian heaven by adding storage above or beside your washing machines. Just imagine… counter space, drawers, a cabinet for the laundry basket… Ah, the possibilities! Simple, functional, stylish: shelves, counters, drawers. Everything you need, right between two walls. Maximize storage in places you’d least expect it. Feeling a little squashed in your dining room? Install a banquette with storage space for a modern, practical seating option that doesn’t take up any room. Perfect for bright corners. Your bed can do a lot more than help you get a good night’s snooze. Create nightstand ledges and platform drawers that not only set the bed apart from the rest of the space, but also offer lots of storage. And great for pets – you’re welcome, Fido. It’s not a last resort, but nearly. If you’ve run out of room everywhere else, consider a ledge just below the ceiling to display your most favorite ornaments or books. Attics can look a lot larger than they are with the right renovations. You’ll need creative storage solutions, but this is the space where you can really experiment. Use mirrors to open up the space, and glass doors to lighten the area. New bedroom? Check. 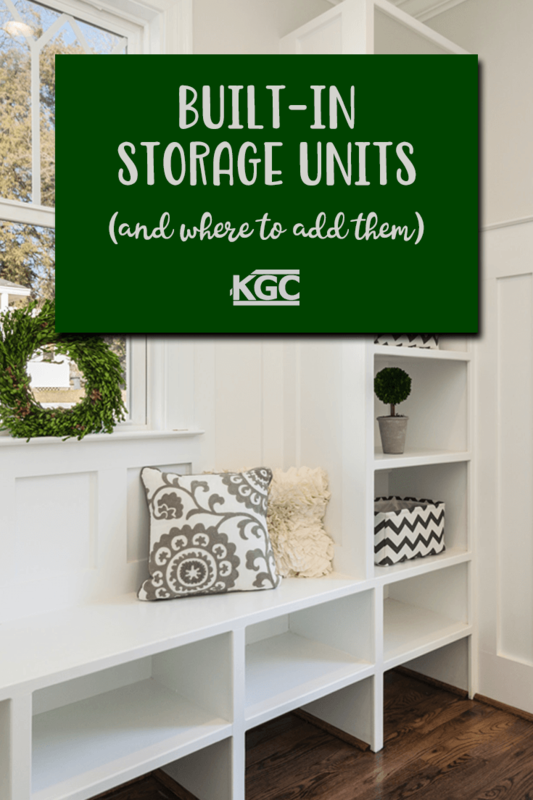 If you’re ready to talk built-ins, let Keith Green Construction give you some great ideas to help you design, build, and love your home.